The Best Western Cantebury Inn & Suites is centrally located in Coralville/Iowa City with 98 unique rooms and suites, all romantically decorated with Renaissance touches. The property boasts several specialty rooms, including split-level lofts, hot tub loft suites and two-room king suites. Please do verify the room types you need for the best personal experience. This Coralville hotel includes all of the amenities to ensure a comfortable stay, including cable television with HBO , new high-speed wireless internet access, a full hot breakfast in the new breakfast room, a full workout facility and a conference room that can accommodate 50 guests. Rain or shine, guests can enjoy the indoor pool, the largest in the area. If you're looking for a hotel in Coralville that makes it easy to experience all that Iowa City has to offer, you've found it in the Best Western Cantebury Inn & Suites. Visitors can shop to their hearts content at the Coral Ridge Mall, only two miles away. Cheer on the teams (GOHAWKS !!!) at the nearby University of Iowa, also home to the University of Iowa Hospital and Clinics, the state's only comprehensive academic medical center. The historic Amana Colonies, featuring craft shops and a brewery, are just a short drive away. To improve our guest experience, we have installed a brand new Wi-Fi system, new lamps, new furniture in some rooms, mattresses, brand new RFID door locks. We are continuously upgrading our property to further improve our guests experience! All of this while ensuring that it causes no disturbance to our guest. Serving Monday through Thursday, 5:30 p.m. to 7:30 p.m. is our complimentary "Guest Appreciation" meal, where we get a chance to greet our wonderful guest. We offer special rates for visitors to the hospital as well as complementary taxi rides to and from the hospitals. Begin your Iowa City experience today by calling the friendly staff at the Best Western Cantebury Inn & Suites! Perkin's Family Restaurant: 0.05 mile(s) from Perkin's Family Restaurant, full service, American, open for: breakfast, lunch, dinner, Open 24-hours. OtisTailgators: 1.00 mile(s) from OtisTailgators, bar/lounge, American, open for: lunch, dinner, Sports bar and grill. Konomi: 0.20 mile(s) from Konomi, full service, Japanese, open for: lunch, dinner, Japanese Steakhouse and Sushi. From: Interstate 80. Take the Coralville Exit 242, then go south to 704 1st Avenue. 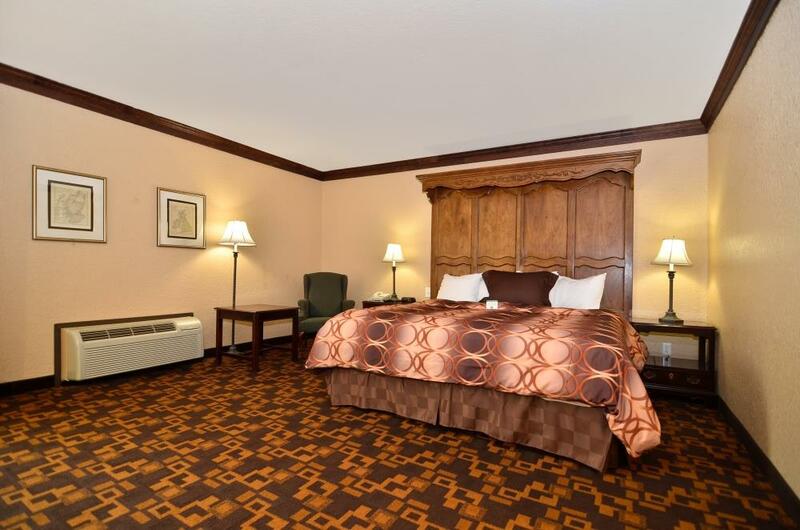 The Best Western Cantebury Inn & Suites is located 0.10 miles south of Interstate 80.